Found in Palm Beach County, Greenacres has a population of about 39,000 residents. It's found not far from West Palm Beach and Miami, which draws a large number of visitors every year. The city is a part of the larger Palm Beach County area, which as a population of more than 1.3 million residents. With many of the best Florida beaches found within the area, millions of visitors come to Palm Beach County every year. A large percentage of the visitors are from other countries, as well. This creates a mixture of different driving styles on the roads, along with many drivers unfamiliar with the area. Palm Beach County experiences about 15,000 traffic accidents in any given year. Nearly all the traffic accidents happening in the county lead to an injury. Palm Beach County also experiences hundreds of bicycle and pedestrian injuries from traffic accidents every year. Auto accidents are on the rise in both Greenacres and Palm Beach County. If the roads within the area were not monitored and tickets were not issued for breaking the traffic laws, these numbers would be far worse. In 2015, more than 127,000 traffic citations were handed out by law enforcement agencies. Out of the total number of tickets, about 67,000 were given out for speeding with more than 7,600 handed out for careless driving. Only about 15% of the total number of tickets were dismissed by a judge. Your chances of getting your ticket dismissed are slim. If you become a habitual traffic law breaker, you may end up with a suspended license. Each traffic ticket you receive comes with points on your license. Accumulate too many points and the State of Florida will suspend your driver's license. You may choose to continue to drive with a suspended license, but if you're caught, you will face up to $500 in fines and 90 days in jail. The state takes this offense very seriously and you’re better off avoiding a license suspension to begin with. Considering it only takes 12 points in a one-year period to earn a 30-day suspension, it doesn't take many tickets to get there. If you accumulate 18 points in 18 months, you will face a 90-day suspension and 24 points in 36 months will give you a year without a driver's license in Greenacres. Without a license, you will be stuck asking for rides and you might just have a taxi company on speed dial. 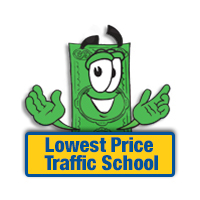 After receiving a traffic ticket in Greenacres, Florida, you have the option of attending traffic school. If you take this option, you will keep the points off your license and you will also keep your insurance rates from going up. The process is very simple. You will start by pleading guilty or no contest to the ticket and paying the fine. When you pay the fine, let the clerk of the court know you will be enrolling in online traffic school. Then, enroll online and take the basic driver improvement course. Upon completion, you will be issued a certificate of completion, which you can turn into the clerk of the court. This is all you need to do to keep points off your license and your insurance rates from going up. Are you Eligible for Traffic School in Greenacres? Traffic school eligibility is based on two factors: one, if you've taken the course in the past 12 months, and two, if you've taken the course five times in your lifetime. 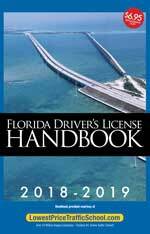 Every Florida driver can use traffic school up to five times. However, you can only use it once every 12 months to keep points off your license. Traffic citations issued in Greenacres are handled by the Palm Beach County Clerk of the Court. You will make your payment to the clerk of the court, along with find out due dates and inform of your intent to enroll in traffic school. Find out more about the Palm Beach County Clerk of the Court at their website.